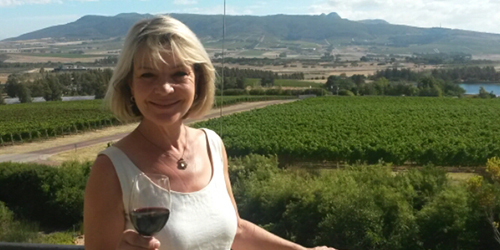 Antoinette completed her diploma in Tourism at Stellenbosch College in 2002, specialising in the Wine industry. After two years working in the tasting centres on Wine Farms, she did a tour guiding course and have been in the industry for the past 12 years. Louis is a qualified wine maker with a B.Sc Agric Viticulture & Oenology degree, 3 years' experience working on wine estates and harvest in France, New Zealand and USA he is a great addition to our team. We have also made our own wine together, a Shiraz 2014 - available for sale on tour. With a passion for people, food & wine, we would love to share the magic moments of the Cape with you! The rest of my team consists of qualified, registered tour guides, specializing in wine. Janine is more than passionate about wine! With her Cape wine Academy, WSET courses & 20 years of experience in the wine industry – why not join her on a journey to discover why wine is simple, yet so complex? She has been with the Camino tours team now for 3 seasons and we are looking forward to many more!